This has an odd ring of Eric Schmidt's now-infamous transition at Google in 2011. Schmidt stepped down as CEO, when founder Larry Page took over that role. An Executive Chairman is a rather wishy-washy title that can imply all sorts of high-level organizational responsibilities, but the gist is probably that McMaster won't play as active a role in company strategy, product, and day to day operations. Of course, Cyanogen Inc. could have an entirely different interpretation of this title. Anyway, it means McMaster probably won't be responsible for steering the ship so much anymore, which frankly, that's probably a good thing. Who will be Cyanogen's new CEO? I guess we'll have to wait and see. McMaster sent out the following email to Cyanogen Inc. employees this morning, confirming his new position and that the man the company hired as COO, Lior Tal, is taking over as CEO. He also makes it clear Cyanogen Inc is getting out of the "full stack" business (read: trying to sell an OS) and to a "modular" approach being dubbed "Cyanogen Now." As some of you may be aware I have moved to a new role... Executive Chairman. Lior is now the CEO. Some history... last Oct/Nov it became clear to me the "full stack" model was not working... although we shipped millions of devices with Cyanogen OS we were not scaling fast enough nor in an efficient manner. We should all be proud of these achievements and the devices shipped... but in startup world even good work may not be good enough to win. I realized at this time we needed not only a product strategy that was more modular but also someone that saw growth as a 100M+ challenge not a 10M+ challenge. I started to look for someone that could be a force multiplier for this growth to join. Lior and I first met in December of last year... and over the months that followed I managed to court him into joining the company. Lior joined... worked side by side with myself and the rest of the leadership team through what was a very painful RIF and a pivot to a modular approach... Cyanogen Now... which we believe can enable the scale required for success. Myself and the board have been impressed by Lior's calm, perseverance and solution oriented drive during this transition. We felt it was time for a change. After 4 yrs at the helm... for better or worse... the company survives.... with an incredibly strong balance sheet and a product strategy that can bring us scale. I am personally very excited to hand over the reigns to someone I have grown to respect as both a friend and colleague. 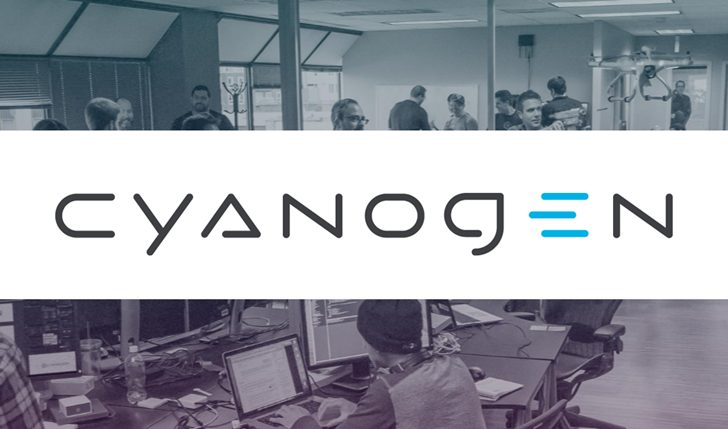 Join me in congratulating Lior as the new CEO of Cyanogen Inc... it is well deserved! So... what the hell is an Executive Chairman? I will still be very active with the company... working on product strategy, recruiting and working with strategic partners as we evolve and grow our business... however my role will be 80% external facing VS internal. I hope you are all as eager for the next chapter as am I. I want to thank everyone in the company for your patience and perseverance... the last few months have been hard on all of us... our best work is ahead of us.